Sponsors: Thunder Power RC, JR/DFA, RC Depot, Desert Aircraft, Y/S Engines, F3A Unlimited, Falcon Props, Pure Tech Products, Northwest RC, my bank account, and my Mom and Dad. 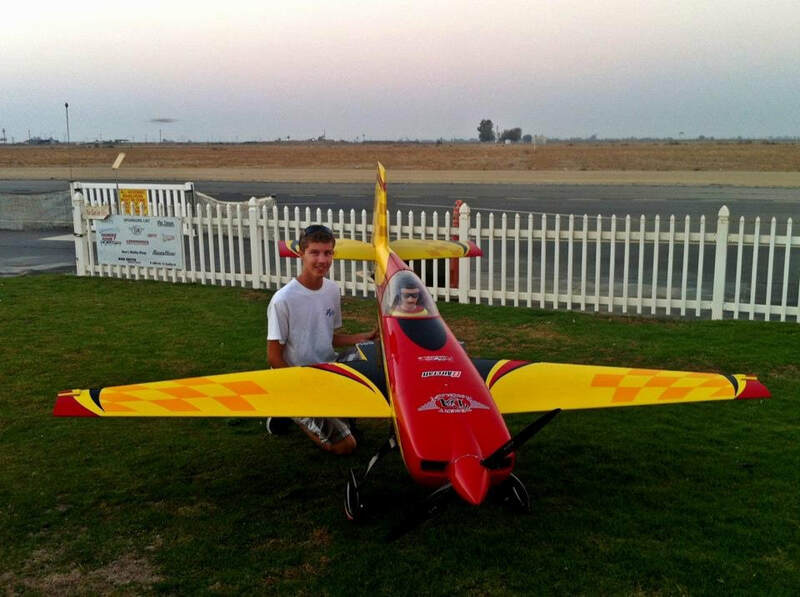 My name is Matthew Stringer, I am 23 and have been flying RC models for the past 14 years. I started competing at the end of the 2008 IMAC season and fell in love with the excitement of RC Aerobatic competitions. I have been fortunate enough to have had many sponsors help me out over the years assist me with fulfilling my personal goals I set out. The hobby has been a big part of my life for the past decade and all the wonderful people I have met over the years have really helped me out to realize what I can pursue in the future. I would not trade any moment of it for the world. The best part of the hobby is when you can give back and like Mark Leseberg, Andrew Jeskey, and Ryan Archer were able to do for me in helping me further develop my IMAC flyin g, over the years I lucky enough to return the favor by helping and coaching my friends to reach their goals in competition aerobatics as I did mine. After flying competively for 10yrs out of all my accolades my most treasured result still com es from the 2012 Tucson Aerobatic Shootout when I won the Unlimited class with a perfect score for the whole weekend. I won all 10 rounds with a borrowed airplane after I had lost my primary contest plane just 2 months prior at the Clover Creek Invitational. I was so estatic that with all the events and craziness that led up to that contest that i was able to not only win the Unlimited class and graduate officially to the Invitational class, but to also acheieve the only perfect score ever achieved at Shootout history with of all possible rounds won, dropping 2 1000 rounds against a tough crowd of Unlimited pilots was the most amazing feeling ever.